I FINALLY got the chance to go to my nearby Inglot store here in New York City, and believe me, that visit was long overdue. The store had a comforting atmosphere, the salesgirls were very friendly, and the different selections of products are to die for. 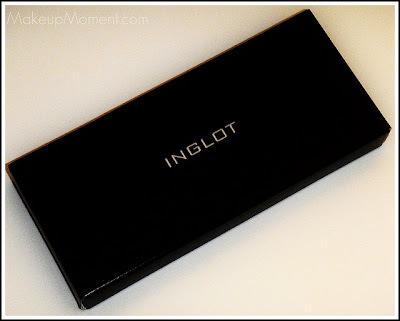 There were loads of lipsticks, lip glosses, blushes, nail polishes, and of course, what Inglot is most known for-eyeshadows. 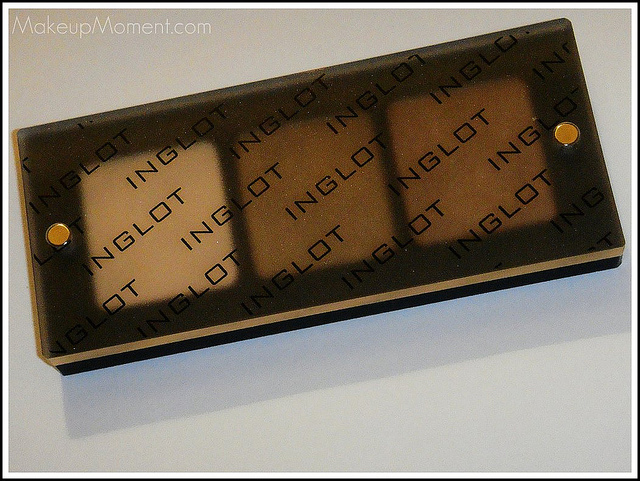 Inglot's freedom system is a great way for customers to customize their eyeshadow palettes. 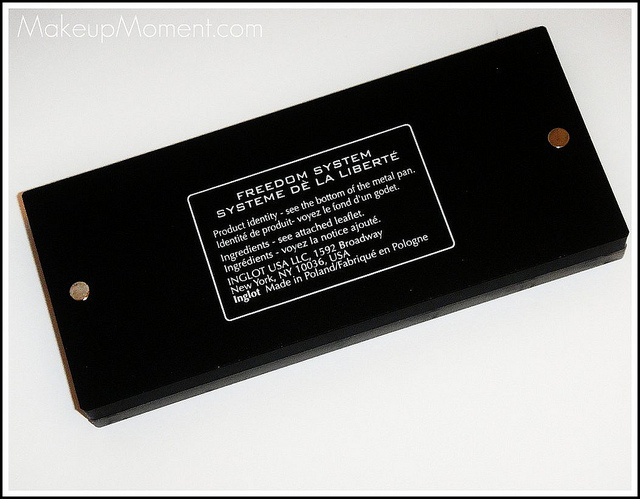 With the freedom system, all you have to do is choose which eyeshadow colors you would like, and the magnetic eyeshadow pans are then placed inside eyeshadow palettes. 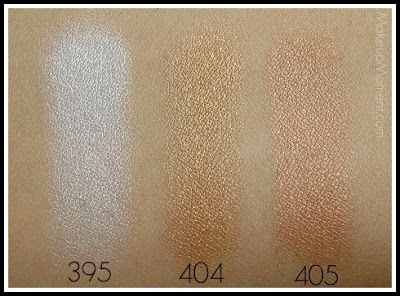 You can choose from palettes that hold 2, 3, 4, 5, 10, 20, or even 40 eyeshadows. 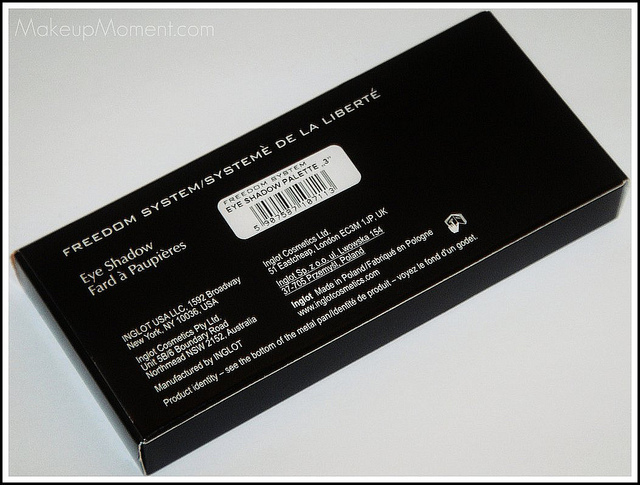 Just so you know, freedom systems are not limited to just eyeshadows, there are freedom systems available for face and lip products as well. Since it was my first time trying out Inglot eyeshadows, I decided to pick some lovely neutral eyeshadow shades-but next time, I definitely will get my hands on the more brighter shades. 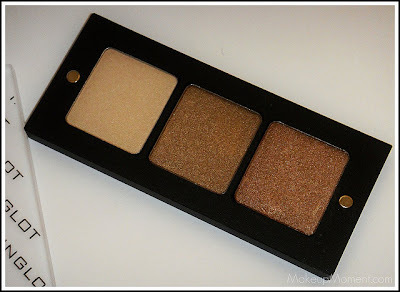 The finishes of these three eyeshadows are between a shimmer and frost, but I would say that they tend to lean more towards the frostier side. The size of the square eyeshadows are huge. I am sure these are going to last me a good while. The value of these eyeshadows are amazing as well. My total came up to about $21.00, just for these three huge sized eyeshadows, and the magnetized palette. Score! #395- Neutral beige frost. 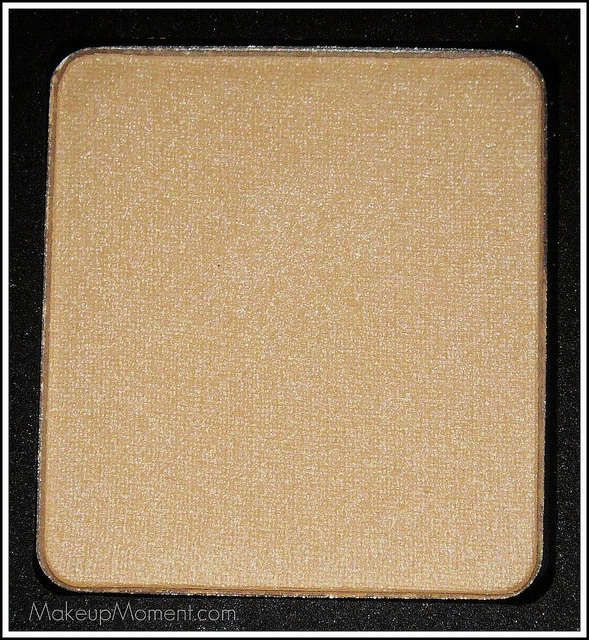 This color looks like a neutral beige in the pan, but when I apply it, it appears to look like a frosty white. 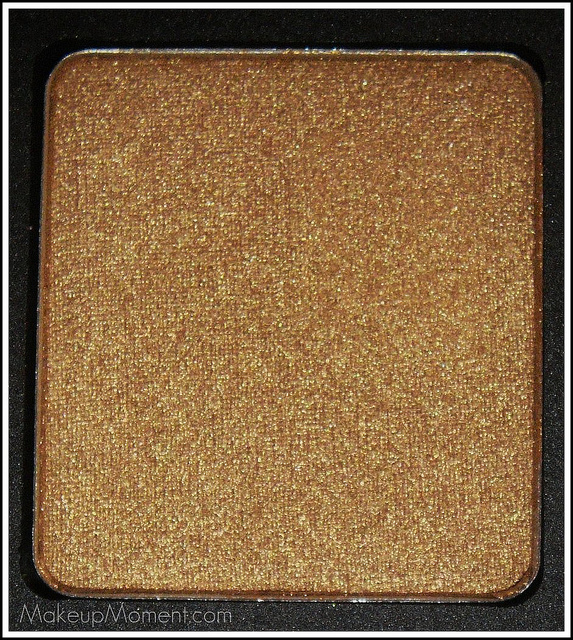 I like to use this shade on the inner corners of my eyes to help brighten them up. #404- Golden frost. 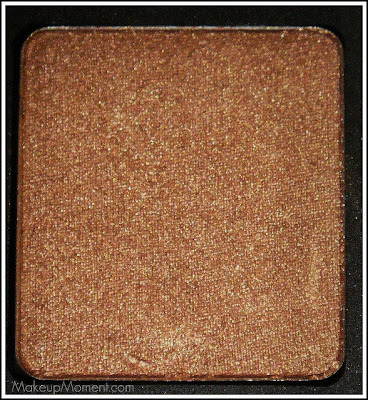 This is my most favorite eyeshadow out the three. It looks lovely on the lid, and it really stands out against my brown eyes. #405- Golden Bronze frost. Pretty color that looks lovely applied all over the lids, or on the outer V to add a tiny hint of depth to the eyes. 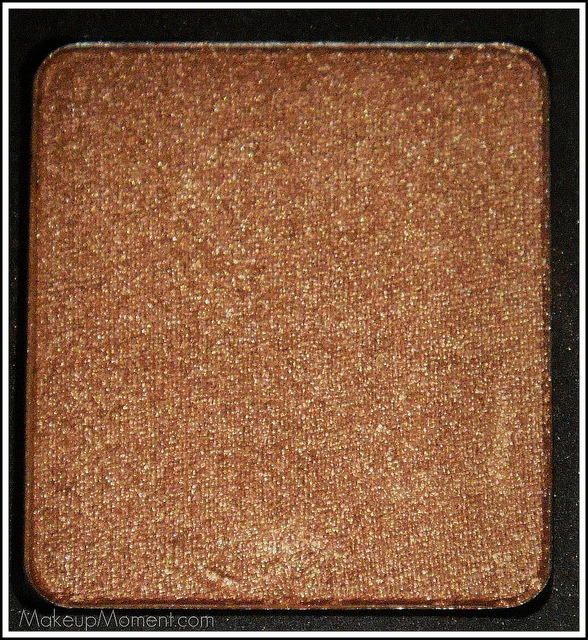 All of these eyeshadows apply smoothly, and they are so soft to the touch. 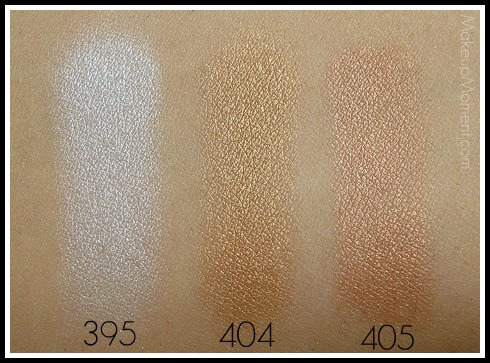 The blendability is superb, lasting power is lovely, and the pigmentation blows me away. These eyesahdows are perfection. I also love the packaging of the palette. I find it to be wonderfully refreshing, actually. It feels sturdy, looks very sleek, and the slide-open cover makes the palette super easy to open. To order products online, and for more information on Inglot eyeshadows and more of their products, please check out their website, HERE. 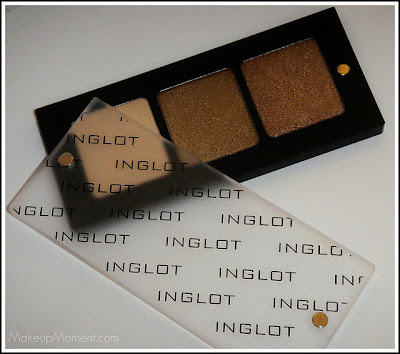 What do you all think of Inglot eyeshadows? Which are your favorite colors? Lovely colors you picked out! I love the packaging! How pretty, I love gold and bronze eyeshadows! You've picked great shades there, I love them all. In fact I think I have 395 the lightest one. Problem with Inglot is when you start buying them you just want more! You are right, Lilit! I definitely want more, LOL! Wow beautifull! Perfect for summer! Cool! I blog about current Japanese beauty secrets and rnak it. So plz check it out! ThanX!